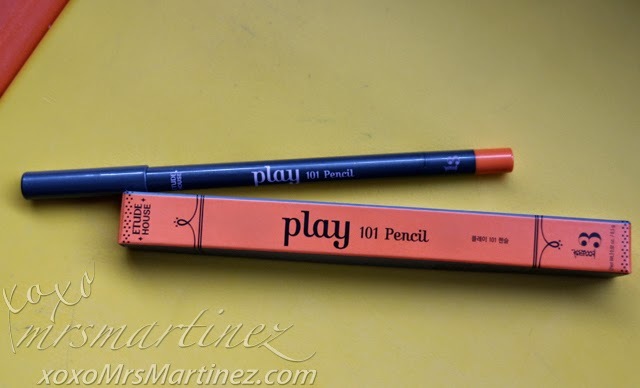 I love Etude House Play 101 Pencil #19 so much that I had to buy another one in the shade of Orange (#13). The color of my lips matches my blouse. 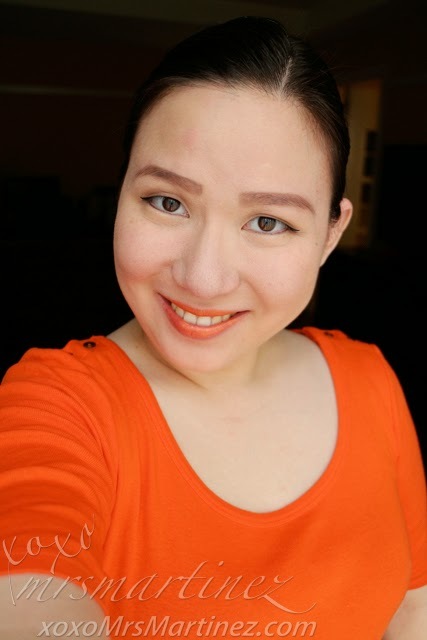 I took this photo from my last entry, Tony Moly BCDation All Master Review. I suggest you read that before proceeding with this review. I love the semi-pointed tip. 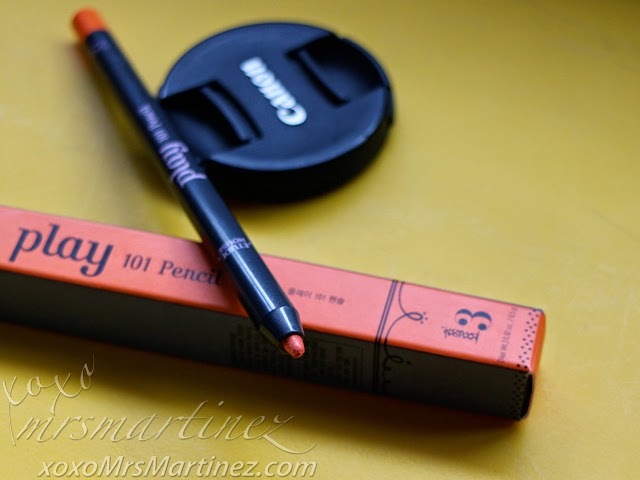 The pencil has glitters that transfers to your lips for that shimmering effect. I also found where the sharpener is located. It is located at the other end of the pencil. 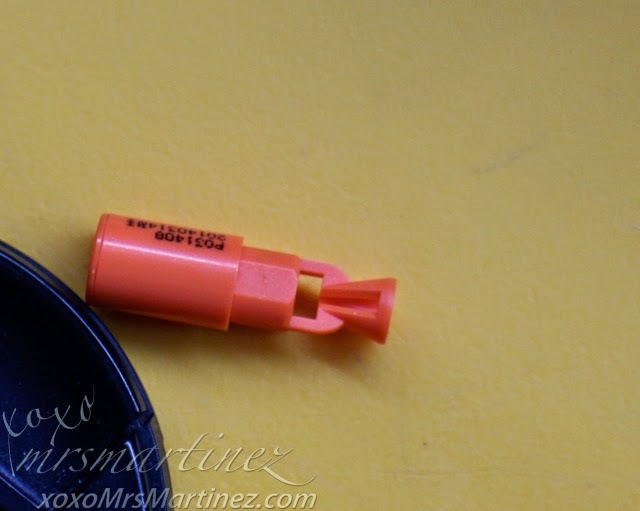 Just pull it apart and you can use it to sharpen the tip of the pencil. 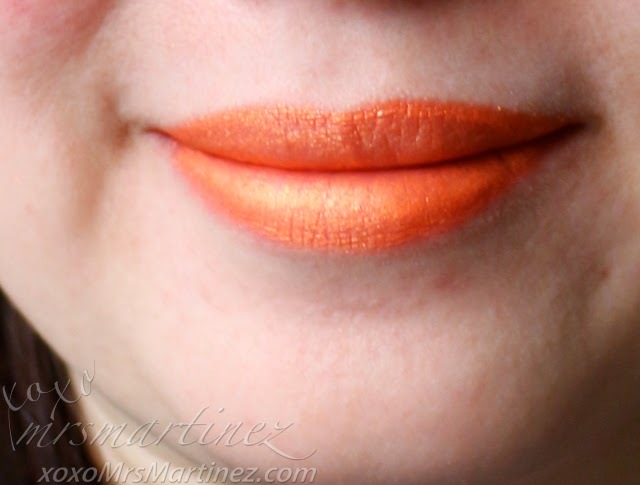 I have to swipe the pencil on my lips several times to achieve this shade. It does not glide on smoothly. 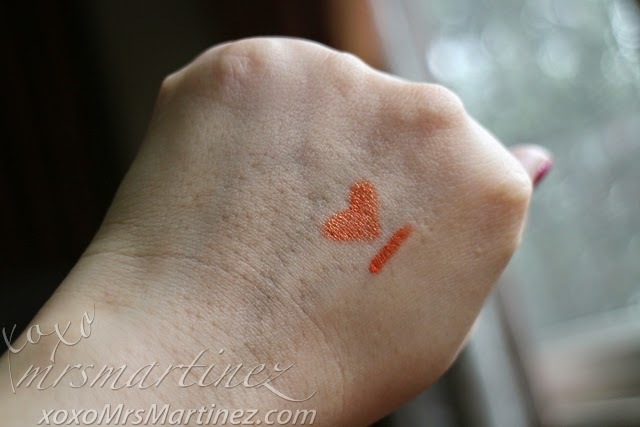 Better prepare your lips with a lip moisturizer before application. 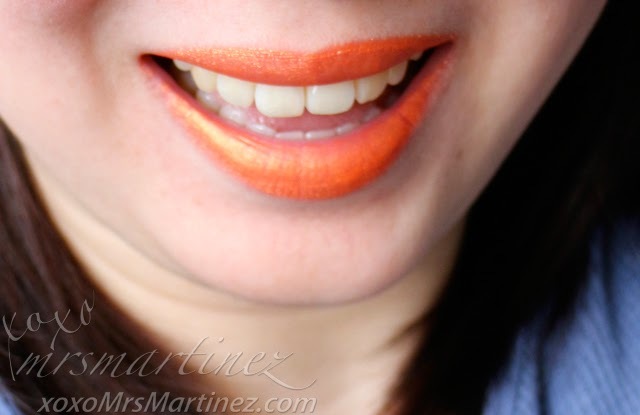 I still love the bold orange color though so this is one lipstick I want to keep.